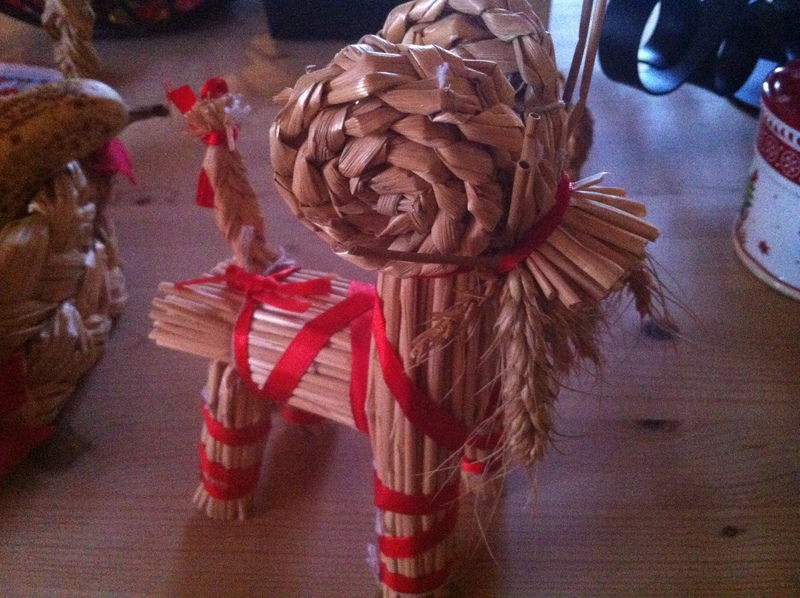 If you’ve ever spent the holidays in Sweden then you’d recognize this common Christmas decoration – the julbock. 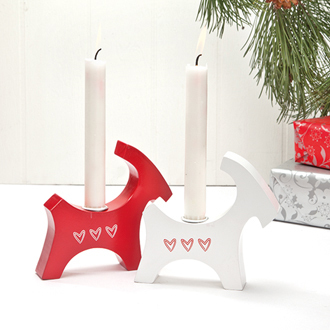 Usually made out of straw and sitting on a table, but sometimes as a candle holder, an ornament in the tree, depicted on Christmas cards or table clothes — goats are largely associated with Christmas here in Sweden. 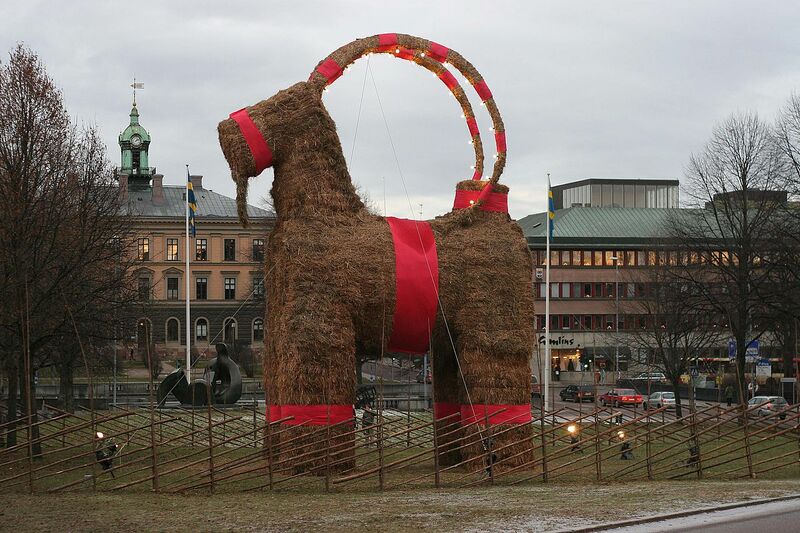 There is even a famously gigantic Julbock made of straw that has been built in a town called Gavle every year since 1966, which measures 13 meters tall (43 feet) and is burnt down year after year. Although this is not the intention of the Julbock nor is it legal, it is an expected fate. There is a long history behind the Julbock which goes much deeper than the decorations we see today. 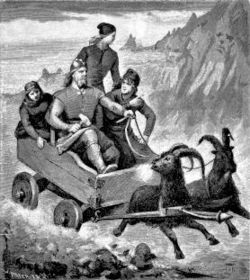 The origin of the Julbock dates back to before Christianity in Scandinavia, from the worship of the Norse God Thor and his two goats, Tanngnjost och Tanngrisner, that pulled his flying chariot. 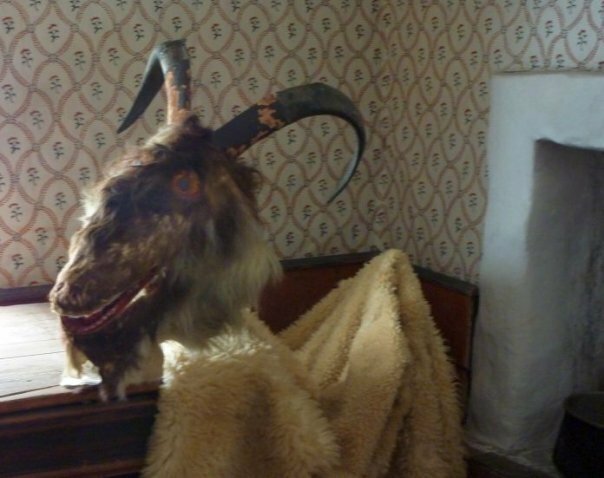 Later, the Julbock was depicted as a humanoid goat figure with horns and hooves, said to represent the devil, ensuring that people deserved their presents. 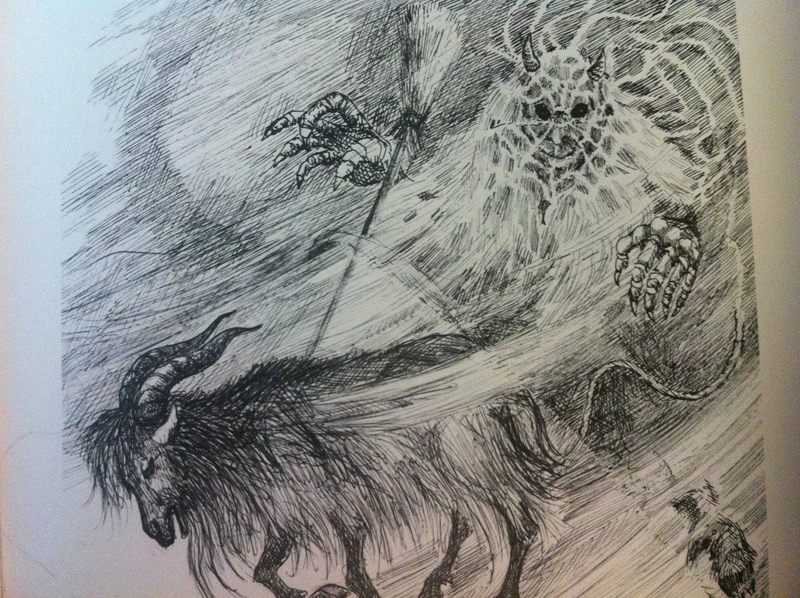 This version of the julbock was altered into a scary prankster who caused trouble and demanded gifts. 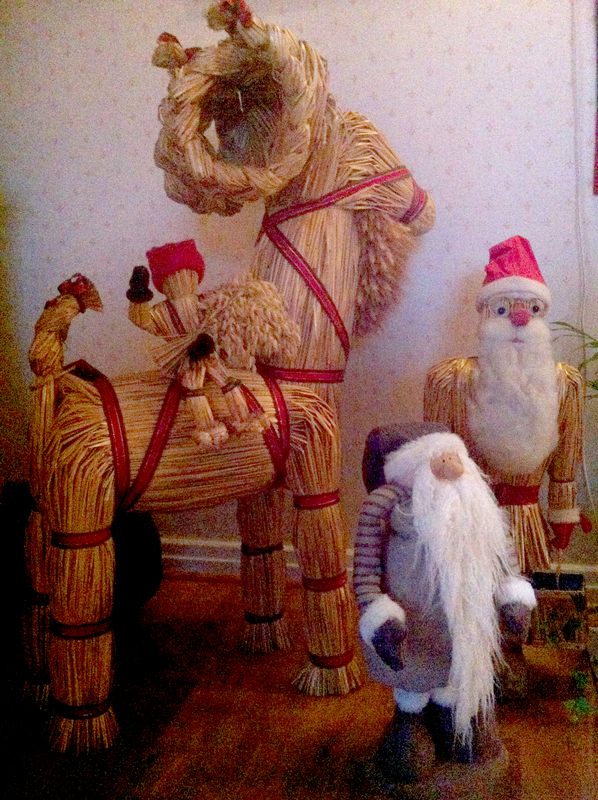 Julbocks being made of straw is nothing new, as it was always associated with the last harvest of the grain. 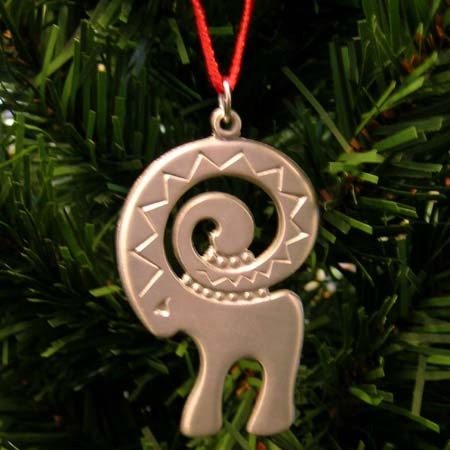 It was once believed that the Julbock was only a spirit, and anything made of straw could be the Julbock. This spirit would check that the house was clean and the preparations were done correctly for the celebrations. For a long while the Julbock was the one who would deliver and hand out the Christmas presents – an original Scandinavian Santa. 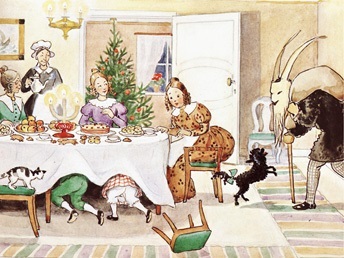 This is the most widely accepted and known version of the Julbock. 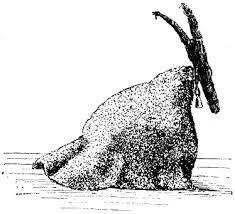 During the 1800’s, people would throw the straw made Julbock back and forth, yelling “Take the Christmas goat!” The straw goat was also passed between neighbors, hiding it in each others houses without it being noticed, in an effort to get the Julbock out of their own house. Categories: Holidays, Sweden | Tags: christmas, christmas goat, featured, History, Jul, julbock, Sweden, Swedish, Tradition | Permalink. 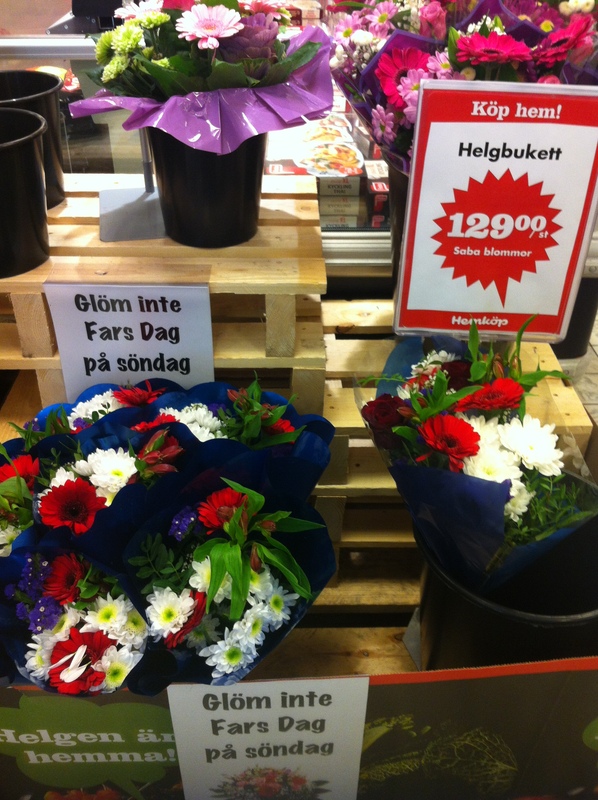 “Don’t forget Father’s Day!” signs are posted throughout the town in bookstores, bakeries, and flower shops. The reminder surprised me, as in the US, Father’s Day is celebrated on the third Sunday of June. Father’s day was created in the USA in June 1910 to compliment Mother’s Day, so most countries celebrate around that time time. 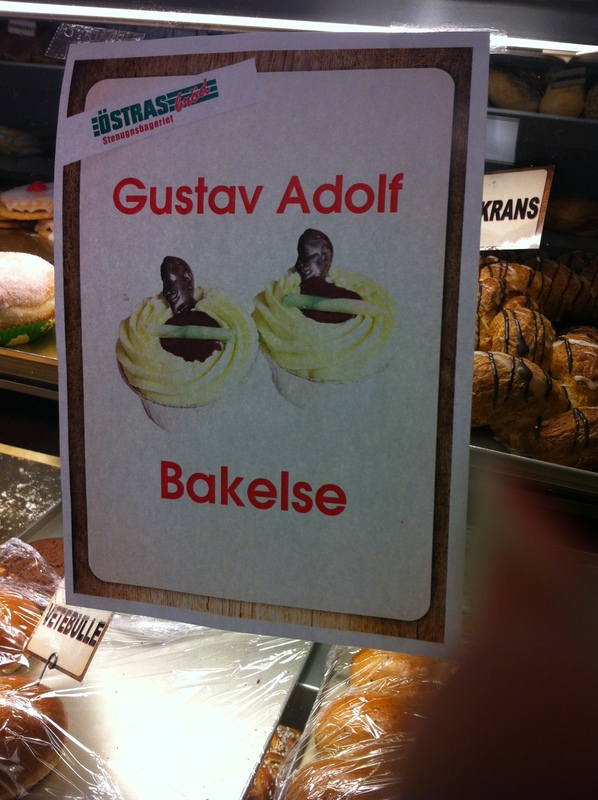 Sweden, Norway, Finland, Iceland and Estonia celebrate it on the second Sunday of November instead. Father’s day is said to have traveled to Sweden in the 1930’s, but like Mother’s Day, did not become popular very quickly. Today my husbands father was celebrated with a homemade cake. 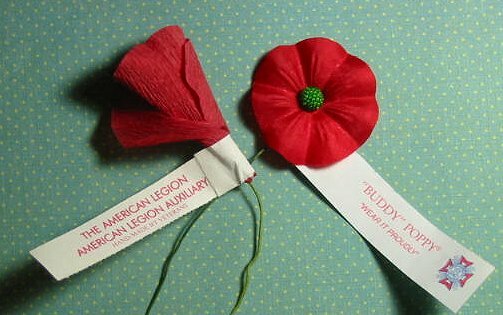 Happy Fathers Day to dads that celebrate it today and thank you to all veterans, present and past. 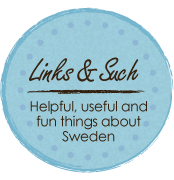 Categories: Adjusting & Differences, American in Sweden, Holidays, Cultures & Traditions, Sweden | Tags: Fars Dag, Father's Day, History, holiday, Poppy, Rememberance Day, Veterans Day, WWI | Permalink. I asked if all former kings are celebrated, which they are not. 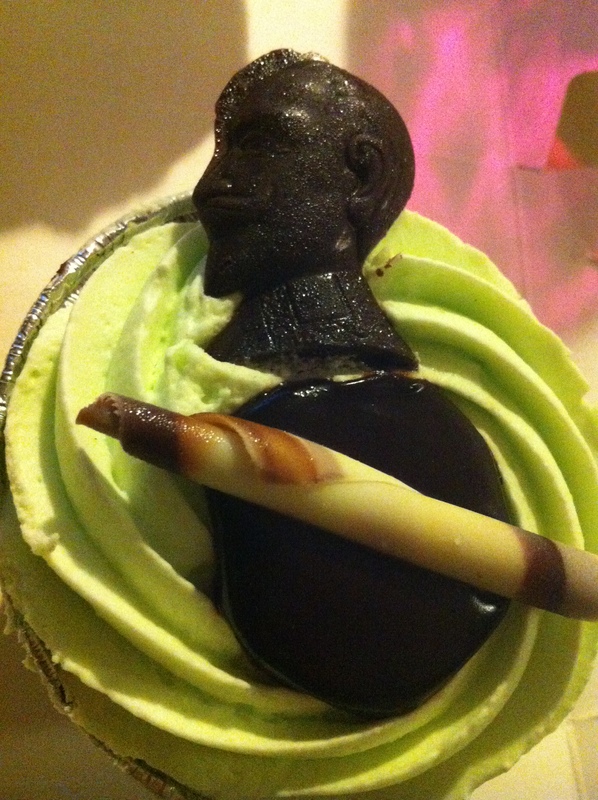 So, it was time for some research to find out why a delicious pear and chocolate treat is eaten today. 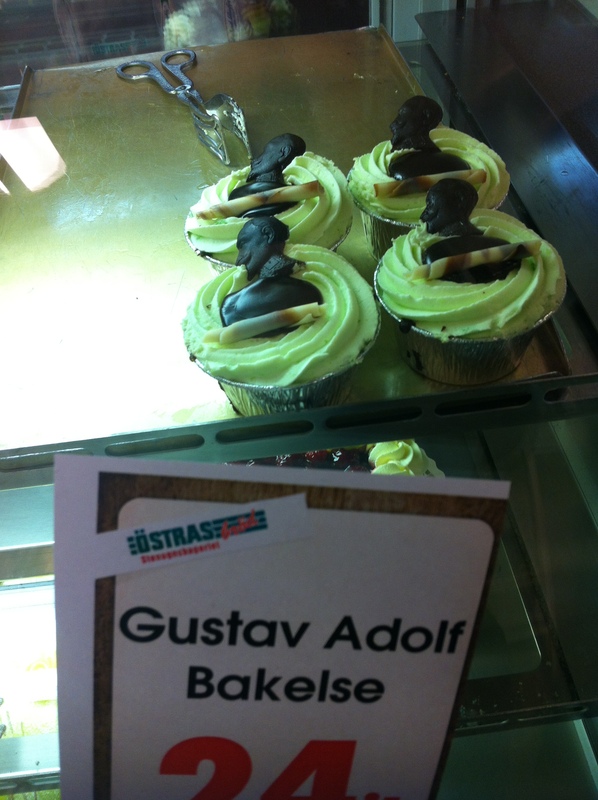 Categories: Holidays, Cultures & Traditions, Sweden | Tags: Food, Gustav Adolf, History, pastry, Sweden, Swedish King, War | Permalink. 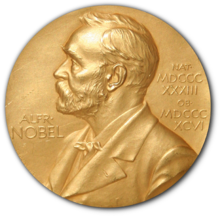 This week the winners of the 2012 Nobel Prizes were announced. Aside from knowing that the Nobel Prize is from Sweden, it wasn’t until I moved here that I bothered to learn more about it. Alfred Nobel was born in Stockholm in 1833 and died in 1896 with the creation of the Nobel Prize in his will. Being the inventor of dynamite (among 355 other things), he had a large fortune to share. After his brother died in 1888 there was an obituary titled, “The Merchant of Death is Dead,” in a French newspaper that thought Alfred was the one who died. Upon reading this he revised his will many times concerned with how he would actually be remembered. 94% of his 31 million kronor ($4.7 million) fortune was to be used to create awards for those who give the “greatest benefit on mankind” in Medicine, Physics, Chemistry, Literature, and Peace. It took years to verify the authenticity of the will, set up committees that would award such prizes, and to create guidelines for the awards. Since 1901 these awards have been given annually by four different committees. Each committee only awards and has influence over the Nobel Prize/Prizes they are responsible for. 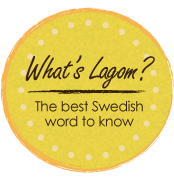 All of the committees were specifically created for this purpose after Alfred Nobel’s will was approved: The Royal Swedish Academy of Sciences, the Nobel Assembly of Karolinska Institute, the Swedish Academy, and the Norwegian Nobel Committee. The award ceremony and banquet for the Nobel Prizes are always held in Stockholm, and the Nobel Peace Prize in Oslo, on December 10th – the anniversary of Alfred Nobel’s death. The week leading up to the banquet is “Nobel Week” when the Nobel Prize winners give lectures on the topic for which the award was given. This year each Nobel Prize will award 8 million Kronor (Most split among two joint winners) along with the traditional gold medal and ornate diploma. It wasn’t until 1968 that Economic Sciences was added to the Nobel Prizes. Nobel’s will specified that prizes should be awarded to scientific discoveries from the preceding year, which had to be changed due to awarding someone a Nobel Prize for finding the cure for cancer in 1926. Nobel Prizes are now given to discoveries that have withstood the test of time and which the full impact of has been recognized, which sometimes takes decades. 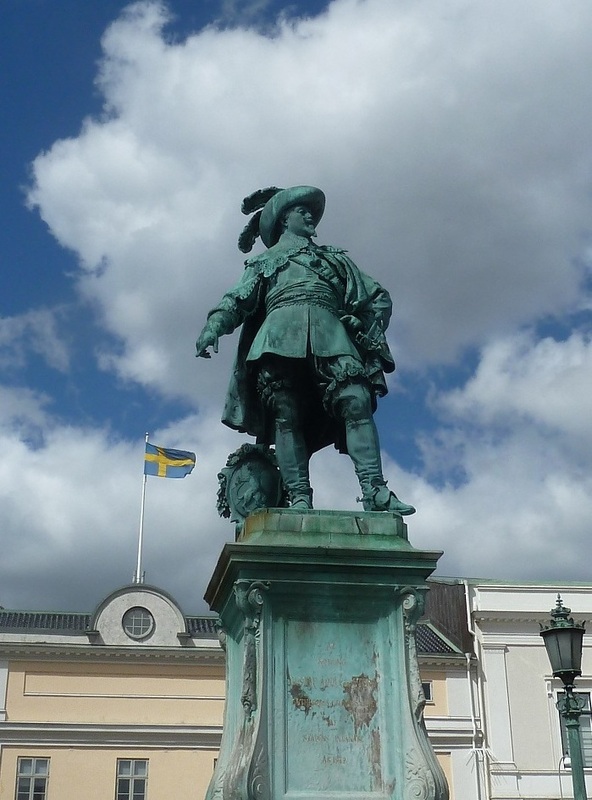 At the time of Nobel’s death Sweden and Norway were in a union, and Nobel asked that The Peace Prize be awarded by the Norwegian Parliament, which in turn created a new committee to do the job. The Norwegian Parliament selects the 5 members in the committee. 77% of the Physics Prizes have been given to discoveries, only 23% to inventions. The Norwegian King did not support the Nobel Prize ceremony and refused to participate because it would be awarded internationally- to foreigners. Unlike in Sweden where Prize winners personally receive the award from the Swedish king, a chairman traditionally gives out the Nobel Prizes in Norway. In 2006 the King and Queen of Norway started to attend the Nobel Peace Prize awards. In 1948 the peace prize was not handed out due to “no suitable living candidate” after Gandhi died that year. 1949 5,000 lobotomies were performed in the US immediately after it received the Nobel Science Prize. The Norwegian Nobel Committee building was a safe haven from the invasion of Nazis into Norway during WWII because it was Swedish property and Germany was not at war with Sweden. In 1979 Mother Theresa refused to have the five-course banquet for 250 people and instead used the money to feed 2,000 homeless people on Christmas day. The Nobel Foundation has assets of 3.628 billion kronor ($545 million US dollars) and has been exempted from taxes since 1946. Categories: Sweden | Tags: Alfred Nobel, Chemistry, Economy, History, International, Litterature, Medicine, News, Nobel Prize, Norway, Peace, Physics, Science | Permalink. 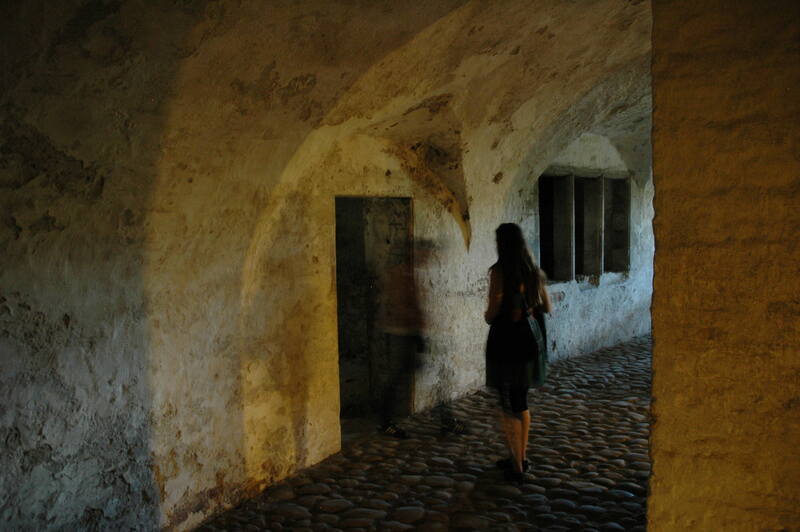 As I crossed the cobblestone courtyard, ducked through the small dark and narrow passageways, climbed the steep and sagging brick stairwells, marveled at the untouched chapel, watched the swans swim around the castle moat, heard my voice echo in the tremendous ballroom, looked out the windows to see the cannons pointed towards the coastline of Sweden – I was imagining Hamlets plight. Envisioning the ghost of his father, eavesdropping, deceit, secrets, murderous plots, revenge, and a death stained fencing match. 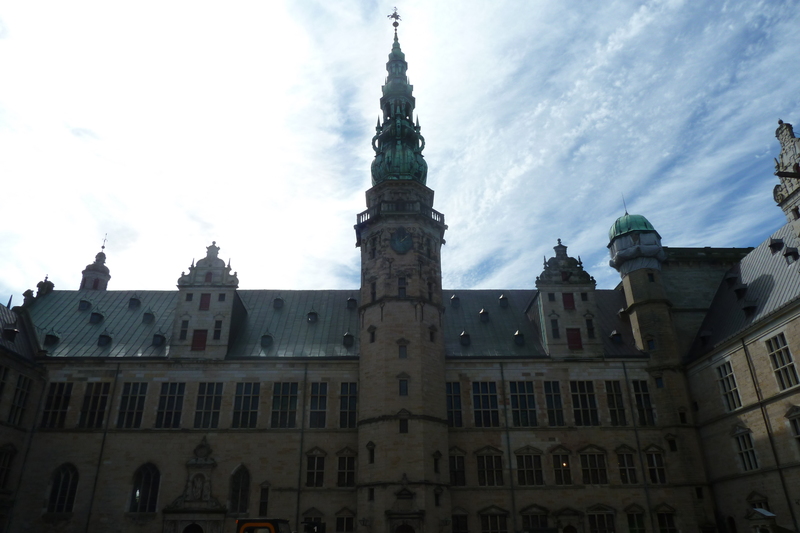 Shakespeare may or may have not ever been to the Kronborg Castle (known as Elsinor), but he was inspired by it nonetheless, and framed the most famous play in history within these walls. Categories: Inspiration, Sweden, Travel | Tags: Castle, Denmark, Hamlet, History, Inspiration, literature, Photography, Shakespeare, Tragedy, Travel, War | Permalink.